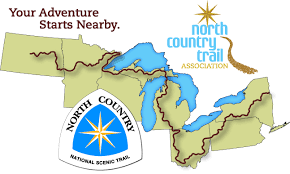 Tuesday, April 16, 2019 – The North Country Trail, Dakota Prairie Chapter, will soon hold its annual Hiking Expo. Here to tell us more about the Expo and the North Country Trail is Bob Stein. ~~~ Wish Fast, a superhero walk/run in support of Make-A-Wish North Dakota, started out as a student project. It’s now in its sixth year, and will take place on May 4th in Fargo, Bismarck and Williston. Joining us is organizer Nick Vculek. ~~~ It’s projected that the average American meat eater will consume 220 pounds of meat and more than 200 pounds of milk and cheese this year. Despite that near record demand, farmers are producing it faster than it sells. As Harvest Public Media’s Jonathan Ahl reports, that glut, caused in part by trade issues, is creating problems on what to do with all that perishable food. ~~~ Ready for spring? Ron Smith is here with some helpful lawn and garden tips.